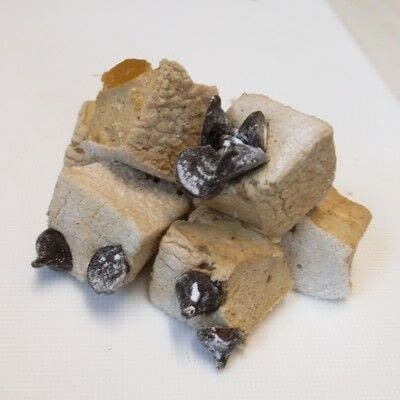 For all you vegans, clean eaters and allergy sufferers out there. 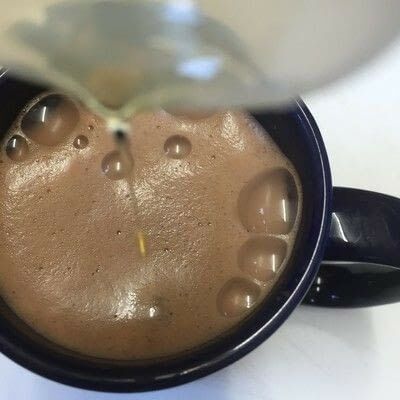 I’ve been experimenting away on how to make the perfect hot chocolate without using processed sugar or dairy, i’ve been baking without sugar or dairy for a little while and there’s heaps of recipes out there, but sometimes you want a quick, sweet treat that tastes just like the real thing. You can substitute the almond milk for any kind you like, soya, oat, rice, and although I like to use agave nectar as it doesn’t set off my migraines, you can sub for honey, date syrup, xylitol, or any sweeteners you prefer, there’s plenty of substitution charts on the net to help, I’ve found the right amount of sweetener to be the hardest thing to master. 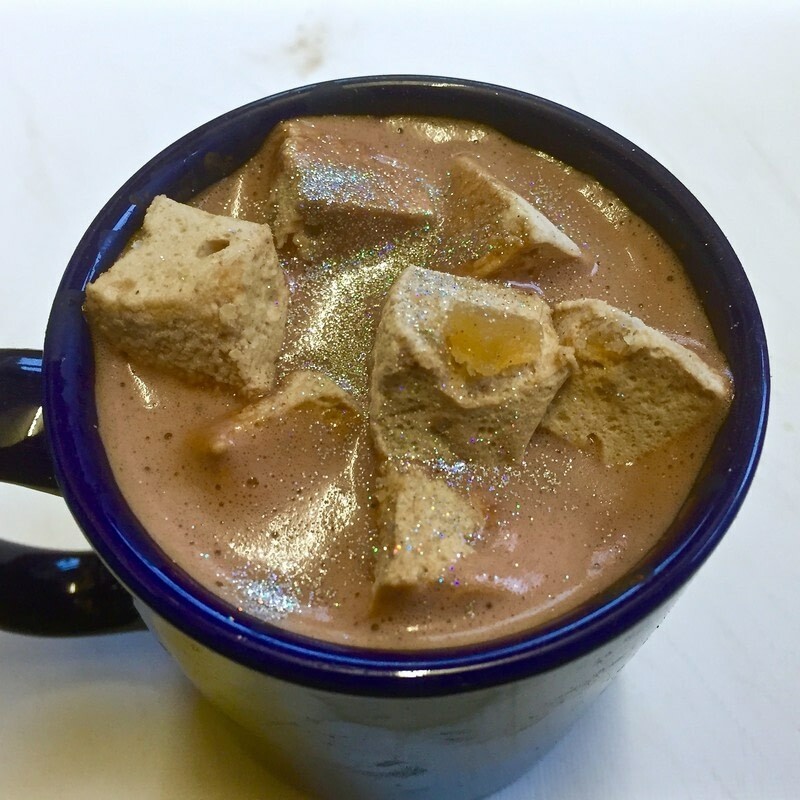 I miss having lashings of whipped cream on the top of my hot chocolates but adding marshmallows adds a street, gooey layer that’s just as nice. 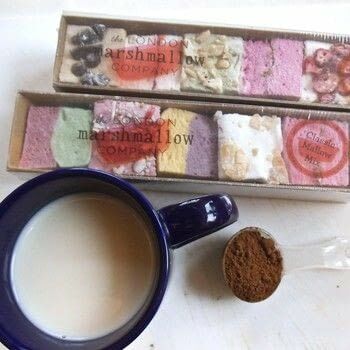 The lovely people at the London marshmallow company sent me some scrumptious marshmallows to play with, they do contain gelatine for all you vegans out there and their sugar is beet sugar, there are sugar and gelatine free marshmallows out there but these make a nice addition if you’re just cutting down the sugar rather than out. 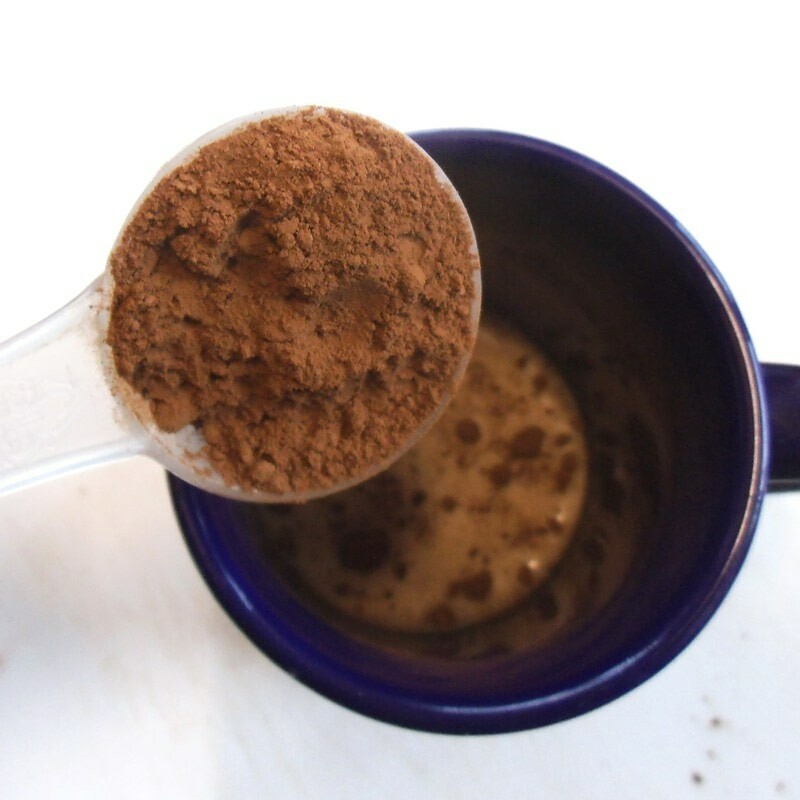 Add a heaped table spoon of cocoa powder to a mug, pour in a drop of the milk and whisk like mad. 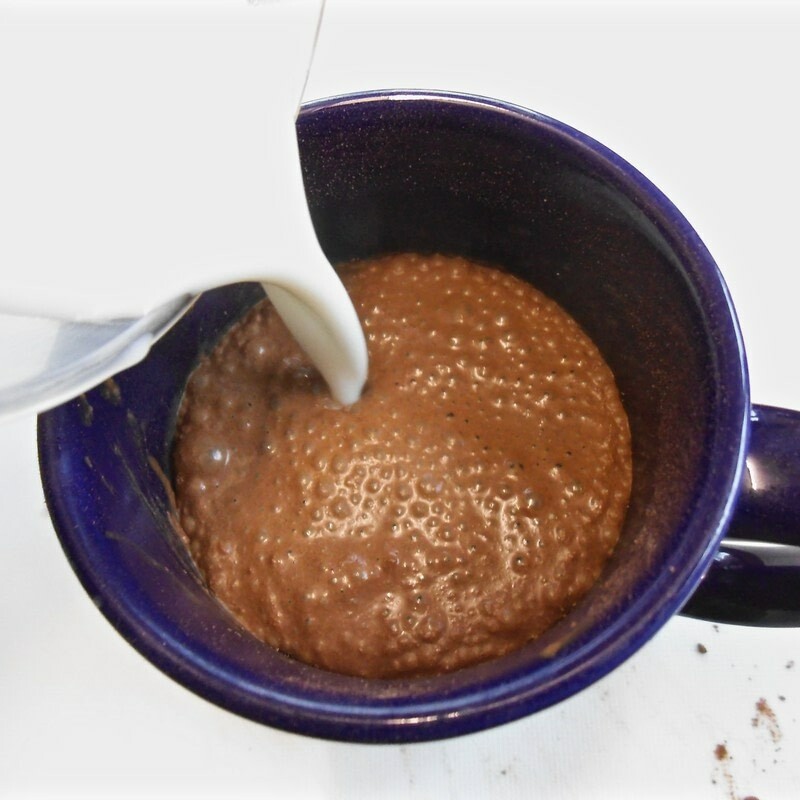 Add more milk until you’re near the top of the mug, whisk again until it's all mixed in like chocolate milk and microwave for half a minute at a time until your drink is steaming hot. Pour in 2 tablespoons of agave nectar. 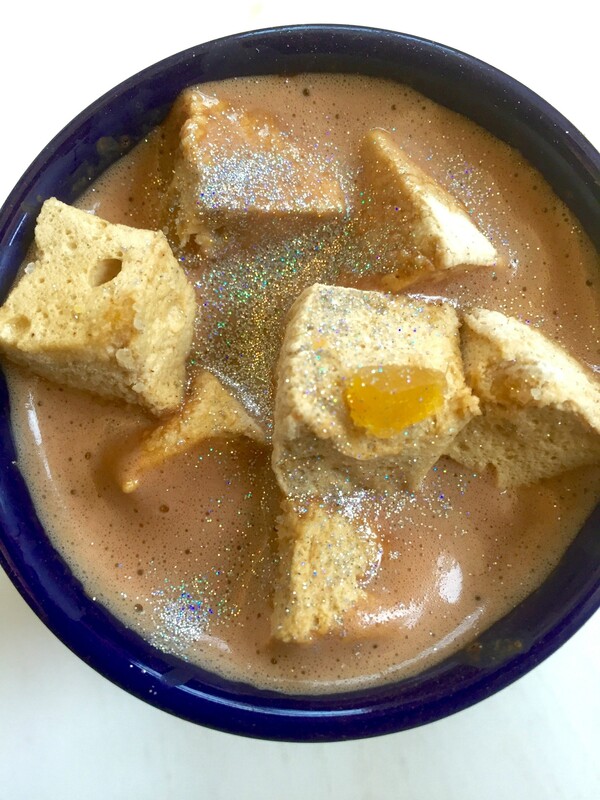 Chop up marshmallows and place carefully on top and if you’re a fan of edible glitter sprinkle some of that over too.